Some people would think that dogs innately know how to behave when they are leashed. Unfortunately, this is one of the many struggles that some dog owners face. In this article, we will guide you through some techniques on how to start leash training for your dogs. Although there are breeds that easily surrender themselves to be leashed, some breeds want to have their freedom. However, there will always come a time when your dog needs to be on a leash, particularly when you are going outdoors and you want to make sure that your dog is with you. As a pet owner, you don’t want your dog to get hit by incoming traffic or get lost from too much curiosity of the environment. It is important that dog owners should be able to know the right kind of leash to use for their dog. Front-attaching harnesses: Easy Walk Harness, Walk-in-Sync Harness, Freedom Harness. You may also want to choose the right kind of material to be used as leash. Some options include chain, leather, and nylon. Apart from having different styles and materials, leashes should also come in the right width, depending on the size of the dog. 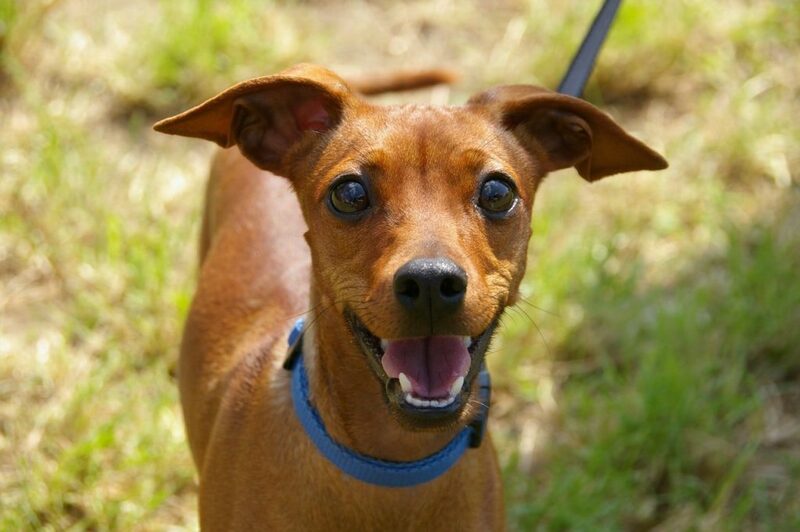 If your dog is strong and has a tendency to chew on the leash, choose a wider width. For smaller breeds, a thinner leash is more appropriate since it will allow the small dog to move freely and not feel the burden of having a heavy leash. There are two types of clips: bolt snap clip and trigger snap clip. A bolt snap clip has a small spring inside a shaft that slides open to create a hole to let the collar ring pass through. Although this is commonly used, using the clip for a long time may result in loosening of the spring, which may allow your dog to escape. A trigger snap clip, on the other hand, is bigger and more robust. Therefore, between the two clips, the trigger snap clip is more reliable. It is best to start leash training while your dog is just a few months old. This way, they are much easier to train. Leash training your dog takes time. For starters, get your dog familiar with having a collar around its neck. Never try to force it on the dog in situations where your dog is fearful or having tantrums. You can slip it on while your dog is busy playing. Make sure that the collar is snug enough, but not too tight that could make your dog uncomfortable. In time, your dog will feel comfortable having the collar and leash on him. Distract your dog while the leash is on. If your dog scratches on the collar, it may mean that he is getting uncomfortable. This is normal. Instead of taking it out, make him busy by playing with him so that he forgets about the collar. Keep your dog busy while the leash is on his collar by giving him small treats instead of having his mind on chewing off the leash. Always ensure that when you put on the leash, that it will give him a positive feeling. Let your dog run around with the leash on his collar. This will slowly make him comfortable and easily adjust to having the leash during his playtime. This way, the next time he sees you holding the leash, he will instinctively come to you instead of running away from you. 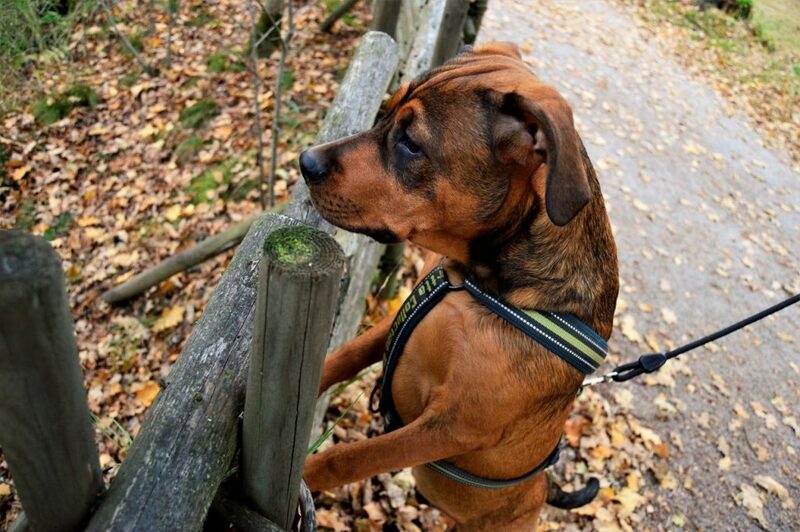 Check if your dog is ready to walk on a leash. Once you think that your dog is ready for a walk, let him just walk freely. You can’t force him to walk at heel yet. It will take a little more time before he learns that both of you should be walking side by side instead of you being behind or in front of him. Motivate your dog to wear the leash. If by chance your dog refuses to move when you have put on the leash, give him small treats. Hold your hand down by your side at his head level and encourage him to walk a few steps, and occasionally make a stop to give another treat. The ideal age for dogs to be trained is between 3-6 months. Along with training your pups on how to behave on a leash, teach him basic commands such as “sit”, “come”, “heel”, or “stop”. Just like human kids, puppy brains are like sponges – they can easily absorb what they are being taught. Of course, different breeds have varying behaviors, which you also need to know to help you better understand your pet. Ideally, dog owners should have different kinds of dog leashes for their pets that they can use in a particular place or situation. For outdoor training, a nylon leash 8 to 10 feet in length may be appropriate. However, during distance training, a good 30-50 feet would be better. Just make sure that you wear gloves to avoid having “rope burns” if your dog suddenly pulls hard. For working indoors, use a long, thin and rounded nylon leash since it is light and is the one least likely to get stuck under the furniture. If your dog loves to chew, choose a chain leash instead of nylon or leather. Never forget to praise your dog for every positive response that he makes while under leash training. Doing this plus feeding him a treat is the best combination for a successful training.